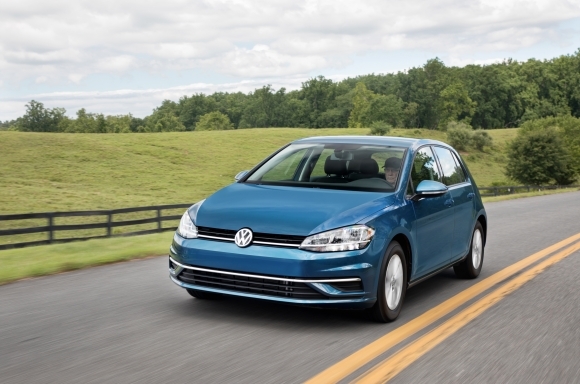 Herndon, VA (May 23, 2018) — Volkswagen of America, Inc. is proud to announce that the 2018 Volkswagen Golf has earned a spot on Kelley Blue Book’s 10 Coolest Cars Under $20,000 of 2018 list. The annual list is the publication’s longest running accolade, going back to 2003. Two longstanding criteria – that the vehicle is both fun to drive and fun to own – are critical among the deciding factors of what Kelley Blue Book editors freely admit is a very subjective “cool factor,” which is also the over-arching No. 1 criterion for a vehicle to place on this list. Each vehicle is available for purchase starting at $20,000 or less*, using Kelley Blue Book’s exclusive Fair Purchase Price as the yardstick. Kelley Blue Book® Fair Purchase Price and Fair Market Range are part of KBB.com’s Price Advisor tool, showing what consumers can reasonably expect to pay this week in their area for a new vehicle when purchasing from a dealer. Factors such as current market conditions, vehicle availability, local demand, and seasonal buying trends all help determine a vehicle’s Fair Market Range and Fair Purchase Price. For more information about KBB.com’s 10 Coolest Cars Under $20,000 of 2018, please visit https://www.kbb.com/car-news/all-the-latest/coolest-new-cars-under-20000/2100005410/. 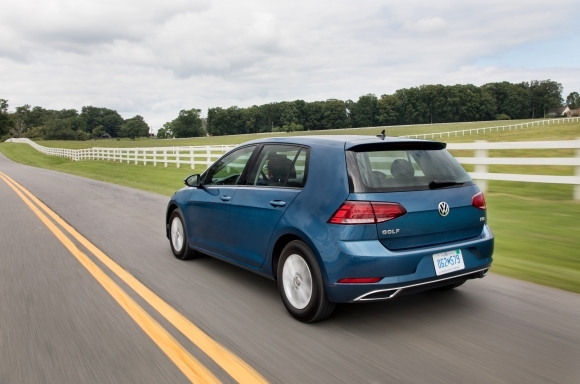 It has been 41 years since Volkswagen’s iconic hatchback debuted in the United States, and the seventh-generation Golf is the best Golf yet. The 2018 model added standard LED Daytime Running Lights (DRLs), LED taillights, and new chrome accents outside, and larger infotainment displays inside. All 2018 Golf models come with the People First Warranty, a six-year or 72,000-mile (whichever occurs first) bumper-to-bumper New Vehicle Limited Warranty, the remainder of which can be transferred to subsequent owners. The MSRP for the 2018 Volkswagen Golf with a standard five-speed manual transmission starts at $20,910. *Vehicles appearing on Kelley Blue Book’s 2018 10 Coolest New Cars Under $20,000 list were available for less than $20,000 according to regional Kelley Blue Book Fair Purchase Prices as of May 9, 2018.